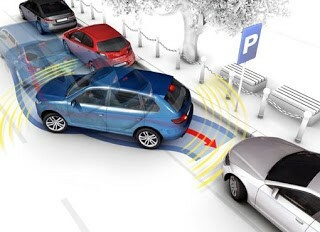 Park assist systems are designed to help the driver during parking manoeuvres. 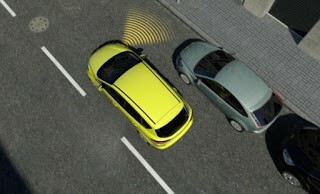 The most used systems are those with ultrasonic parking sensors or a rear camera. This is based on the use of sensors installed in the bumpers distributed strategically to cover a wide area. These sensors are mounted on the rear bumper and optionally on the front and are controlled by a control unit. The system is activated automatically on engaging reverse gear, the sensors are activated and emit an ultrasonic pulse that travels through the air. If there is an obstacle, the ultrasonic pulse will rebound from it and return to the sensor which will detect the pulse and inform the control unit. The control unit makes the calculation of the distance to the obstacle based on the time elapsed between the emission and the reception of the pulse. The maximum detection distance is approximately 0.8 to 1 metre. The control unit emits an acoustic warning so that the driver knows the distance of the obstacle. These warnings are transmitted through independent loudspeakers or through the vehicle's audio system. As the vehicle nears an obstacle, the repeat rate of the audible warning increases. When the object is less than 30 centimetres from the centre of the vehicle’s bumper, the acoustic warning will sound continuously. 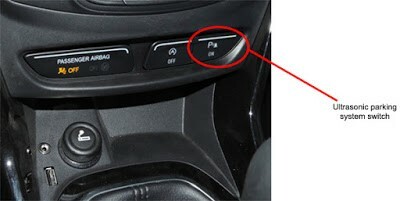 If the driver does not wish to use park assist, there is a switch for enabling or disabling the ultrasonic parking system. 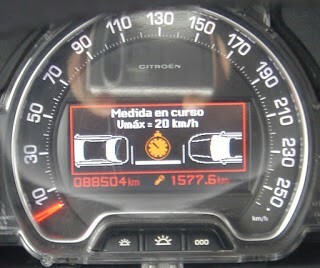 This is located in the cabin, generally in the centre of the dashboard or in the central console. This system uses a small video camera and a screen for displaying the images. 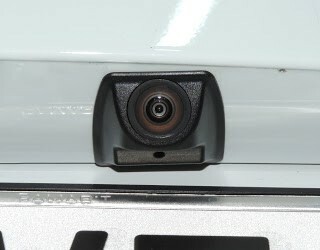 The rear camera is located at the rear of the vehicle and strategically focused to assist parking. 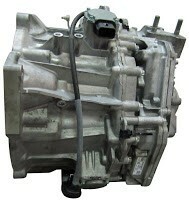 In the same way as the ultrasonic parking system, it is activated automatically on engaging reverse gear. This system uses a control unit which manages the system, which, if the vehicle also has the ultrasonic parking system installed, one unit may be used for both systems. The transmitted images are displayed on the video screen. This screen may be independent or may be shared with other systems, such as the navigation system. 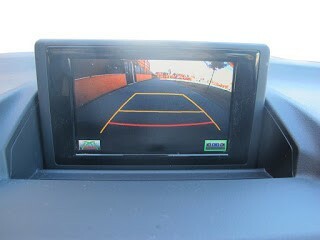 Lines are shown in the screen that determine fixed distances for assisting the driver when parking. The lines are green, yellow and red. 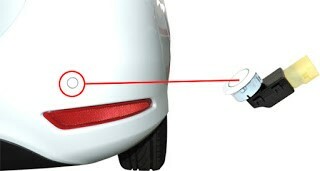 The red line measures the distance between the rear bumper and 30 cm behind it, and the yellow line measures between 30 cm and 60 cm behind the bumper. This system measures the size of a parking space in comparison with the length of the vehicle. This system uses ultrasonic parking sensors that are located on the sides of the vehicle. The measuring of an available space is activated when the system is selected with the switch, the speed of the vehicle is less than 20 km/h and the direction indicator of the measuring side is activated. The screen will show different images depending on whether the space is ample for parking the vehicle, is just sufficient or is too small. • When the ignition is turned off. • When the reverse gear is engaged. • When the speed of the vehicle exceeds 70 km/h for more than one minute. • 10 seconds after turning off the direction indicator. • When the electrical connection for the tow hitch is connected. • On pressing the available space measurement switch for deactivating the system. 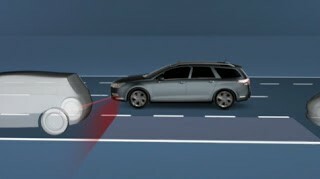 This assist system is an active function that aids the execution of the manoeuvres when reverse parking. The automatic parking system is capable of automatically steering the vehicle for parking. The only thing that the driver has to do in this case is operate the accelerator, clutch and brake pedals. Furthermore, the driver can retake control of the steering at any time he or she wishes to do so and cancel the automatic parking manoeuvre. This system accurately measures, with the help of side ultrasonic sensors, the parking spaces and then carries out the manoeuvres to park the car in the space, without the driver having to use the steering wheel. 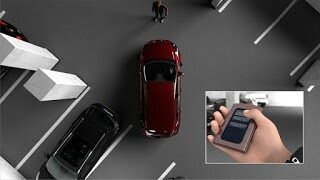 Ford is currently developing a fully assisted automatic parking system. This new system controls the steering, gear selection and forward and reverse movements for parking. 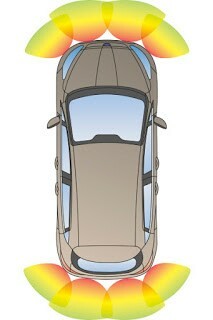 Therefore, the driver can be inside or outside the vehicle during the parking manoeuvre. This system requires a vehicle to have an automatic gearbox, using a gearbox called Powershift, which is capable of electronically controlling the forward and reverse gear changes without the physical intervention of the driver.